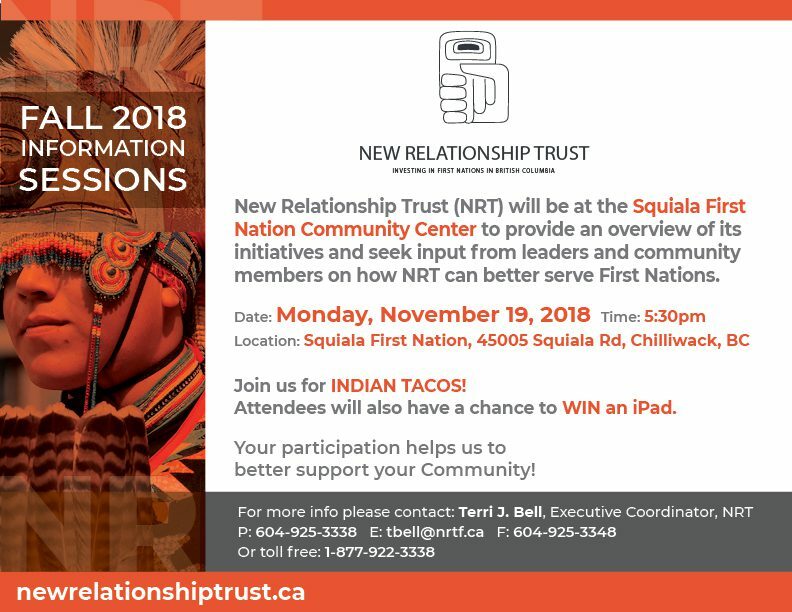 New Relationship Trust is coming to Squiala First Nation! Previous PostPrevious Regional Engagement Sessions Survey – Win an iPad!! Next PostNext NRT’s Fall 2018 Newsletter is here!